The Organization Alignment module offers functionality to align employees, teams and departments to organization objectives. This can be a decisive competitive asset for your company, can double workforce engagement and significantly increase almost every business measure by making better people decisions. In the image, the manager is aligning the team to his goals which he can view in the goal creation dashboard. You can setup company goals and assign these to every one in the organization. At the time of creation of goalsheets, these goals will be automatically assigned to everyone aligning everyone with the company wide important initiatives. When roles and responsibilities of employees are well defined and understood, the alignment and productivity in a business significantly increases. Our Organizational Alignment module allows managers to perfectly articulate roles and responsibilities of their workforce. This process makes annular performance rating more rational and provide an opportunity to discuss suggestions for improvement, career path and recognition of great results. Organizational Alignment module allows managers to effectively leverage the skills of employees. It is very critical especially for SMEs because they may have limited financial resources, technology and infrastructure. Employees who clearly understand their individual goals naturally become more engaged with their work and find ways to work smarter and more efficiently. This boost in employee productivity leads to increased operating margins. Clear business goal alignment creates greater employee ownership. It also lets you establish a true pay-for-performance culture at your company by establishing more rational reward systems. 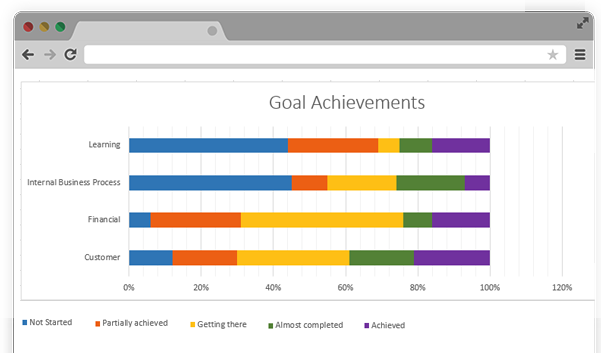 Our Organizational Alignment module increases goal visibility and boosts shared accountability. It makes employees and managers understand how they can achieve more-in less time. 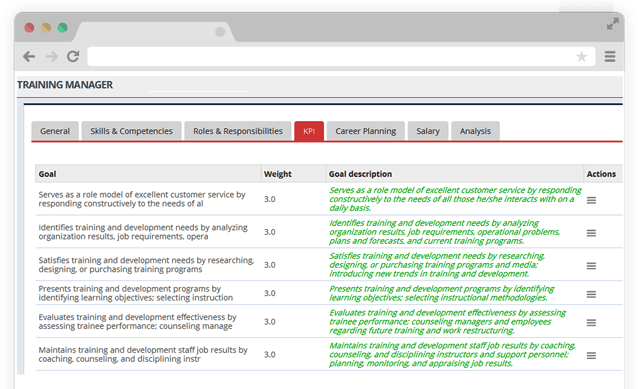 View real-time achievements and take human resources decisions for any deviation from targets. Always be on top of your goals and avoid year-end surprises. User friendly software with online help, self-training tutorials, and easy to use interface. Haven’t you taken Organization Alignment seriously yet?